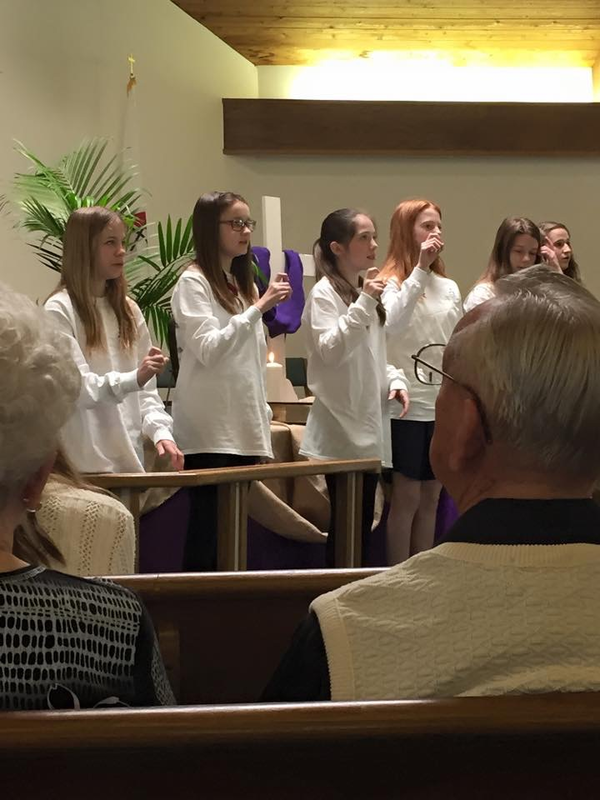 Serving with the heart of Jesus shows us what students are learning and holding close. God, the Father, chose to send His Son to earth as the way of salvation for all humanity. It was in this humanity that Jesus demonstrated service to God. Despite Jesus’ physical limitations when He walked the earth as you and me, He modeled service so we could see the value of serving. The foundational pillars of ministry with children which intentionally nurtures a call into ministry include GROW, TELL, SERVE, WORSHIP, and BELONG. 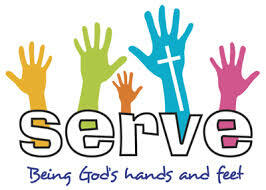 This blog post is about the third pillar: SERVE. Let kids fill out a ‘job application,’ then interview them, and train them. These are life skills. We invite students to serve in the Nursery on Christmas Eve and other big Sundays. Our fifth graders help co-lead small groups and serve in our large group Sunday school. We have a Winter Ball event inviting other local churches to join us for ball food and ball games in our gym in January. This year students who had aged out and into youth set up the game stations from printed instructions and the written plan for the evening. These same students are also instrumental for Vacation Bible School decorating the training space and the event spaces, as well as serving as Fantastic Friday servants. These kids are in training for their leadership wherever God calls them to serve. Where else will they learn to do great ministry by attending to the details…like emptying the trash, cleaning up after others and self, and turning out the lights? If they play an instrument, invite them to play with the praise band. If they sing in school chorus, invite them to sing with the choir. If they like to play with kids, invite them to be the VBS Preschool helper. If they are handy with wood, invite them to build a huge wooden cross for the altar (thanks, Tyler!). If they like to build with Legos, let them build another altar cross (thanks, Olivia!). If they like to talk (thanks, Anna & Olivia! 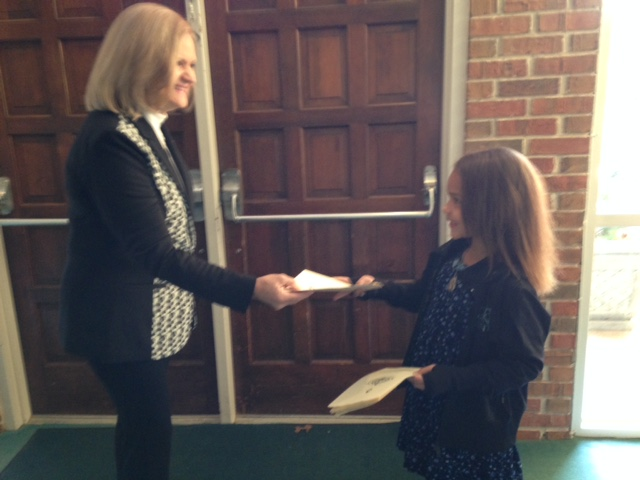 ), invite them to serve as greeters (thanks, Noah!) and open the doors for folks. If they like to do drama, invite them to be on your drama team (thanks, Benton!) or wear a sandwich board advertising your next big event. If they like smaller groups, invite them to tutor (thanks, Eddie!) If they like science, invite them to do the experiments during Summer Sunday school (thanks, James!). If they like to paint, invite them to serve on Trustee Work Day. If they like to cook, invite them to serve on the next Missions Lunch serving line. If they like to play football, invite them to run your games during special Sundays. Last Sunday was Palm Sunday and in the worship service, kids were palm-handlers, handed out bulletins, youth students set out over 1,000 eggs for the egg hunt, took photos of folks with Tom the donkey, held up a “Celebrate” sign for the theme of worship, read the scriptures before the sermon with their dads, shared a Prayer To The Extraordinary, signed and sang and played the guitar for the offertory. 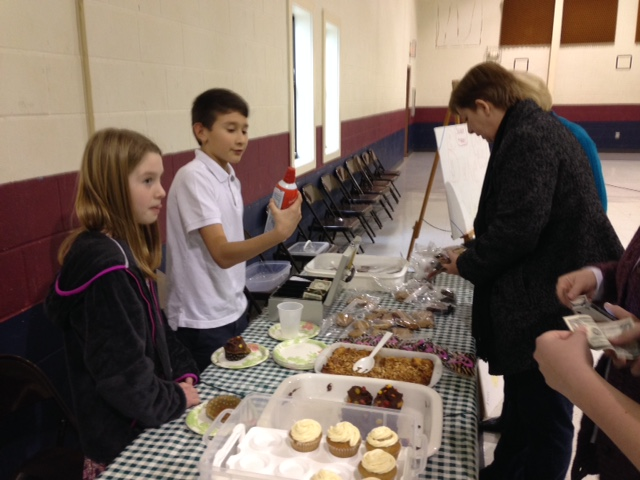 The Friday and Saturday before, our youth set out, sold, and cleared an indoor yard sale in our gym to raise funds for their summer mission trips. It was a full weekend of service and it was awesome! Figure out what ticks each one off and what thrills each soul. Then do your best to provide a stage, an arena, an opportunity for each one to shine their gifts for the Lord. Don’t forget to keep reminding them that their gifts and calling came from Him and are for His glory. We don’t perform for the Lord, we serve Him and His people. It’s all in the opportunity and the vocabulary! Every time we set the stage for children to give testimony and to hear the testimonies of others, the God-moment is impressed and chiseled on the hearts of the hearers and tellers, especially little people. This blog post is the third in a six-part series of setting the stage for nurturing each child’s call into ministry. The first foundational pillar is to offer intentional opportunities to GROW. 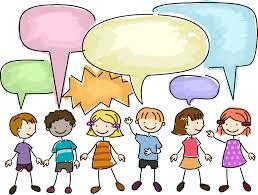 The second is to give kids a way to process out loud or on paper what they heard, saw, and experienced. As well as get their thoughts around how they will move forward. Think Family Reunion. As a kid I loved to hear the stories of my parents and their siblings, especially the ones that incite laughter from even the grumpiest uncle. These are the stories of family history and the ones that get shared from generation to generation. The same dynamic works for students sharing their experiences with God. We want to offer kids opportunities to build a personal vocabulary to share the Good News of Jesus Christ by sharing their own personal stories. Anytime I can get my kids to write, I’m thrilled. The first Sunday of the New Year students write about themselves: favorite book, favorite sport, favorite tv show, greatest thing they did last year, and set some goals for the next year. Saving them, I’ll mail them years later. Several years ago, I had a girls Sunday School class write a letter to themselves of what they will “purpose” in their hearts. The students were in 4th-6th grade. When most were seniors in high school, I mailed them after Christmas in their self-addressed envelopes. Oh. My. Goodness. Many had forgotten, but thankfully Facebook let me see how many of the girls were meeting for lunch to reflect and discuss their letters with one another. One of my girls wrote a fantastic story of “What a 5th grader Will Do For A 6 Pound Bag of Gummies” after a SCREAM Retreat. I knew we had a writer on our hands. Inviting her to write of her God Adventures for the church newsletter gives her a chance to tell her God Story to her whole church and a chance to hone her writing skills. We took our CLUB345 students to a local homeless shelter a few weeks back. 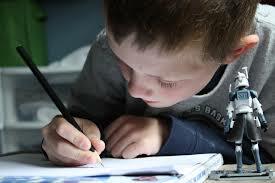 The students were invited to write about what they heard, saw, and felt while there. Moms and Dads and even I can say a whole host of things, but when someone young comes to share testimonies of God’s faithfulness and of how God is working in their lives, impressions are made. Giving past students the chance to ‘call back’ also encourages previous students to continue to tell their God Story. 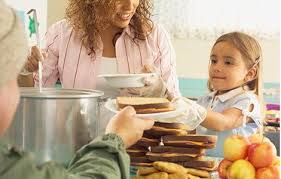 I want my kids to hear testimonies of the fruitfulness of their holy habits…tithing…serving…mission trips…reading the bible all the way through…being respectful of their parents…choosing their future schools…answering God’s call on their own lives as nurses, police officers, tutors, scouts, etc. 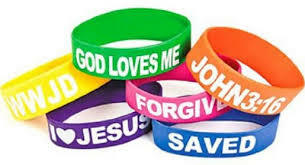 What are other ways you offer for kids to tell their God stories? This is the second post that was started last week about five foundational pillars on which to nurture each child’s call into ministry. GROW is the first of those pillars. Our Sunday morning programming is heavy on growing relationships….with God and each other. Most of my kids attend different schools in two different counties. I can provide the best environment to grow their knowledge and love of the Lord, but if they don’t come, I’ve done nothing. Watching our adults meet and greet over coffee between services has encouraged us to offer time for our kids to meet and greet over games: table top Jenga, Spot it cards, Connect Four, jumbo Checkers, and Legos. 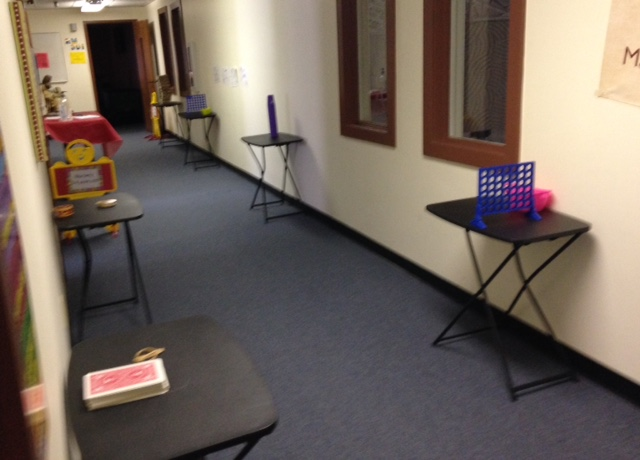 We’ve lined the children’s hallway with small $20 foldaway tables (Bed Bath & Beyond) and placed games for interactive play for the sole purpose of making friends at church. Our first ten minutes is playtime to build relationships and give the kids time to hang out with one another because this is the only place many of them see one another. Larry Fowler (AWANA.org) shares ‘the greatest factor in getting kids to come regularly is friend to friend, kid to kid, relationships at church.’ Our fun time is specifically structured for building relationships. Activity Stations – journals with pens, bibles with challenges, mirrors and dry erase markers asking “What do you know about God?”, a large piece of paper with one word “Justice” and another piece of paper with one word “Mercy” and inviting the kids to add words they think go with the big word, self-directed prayer walk on campus in partnership with parents/grandparents with challenges at each location inside and outside the building. 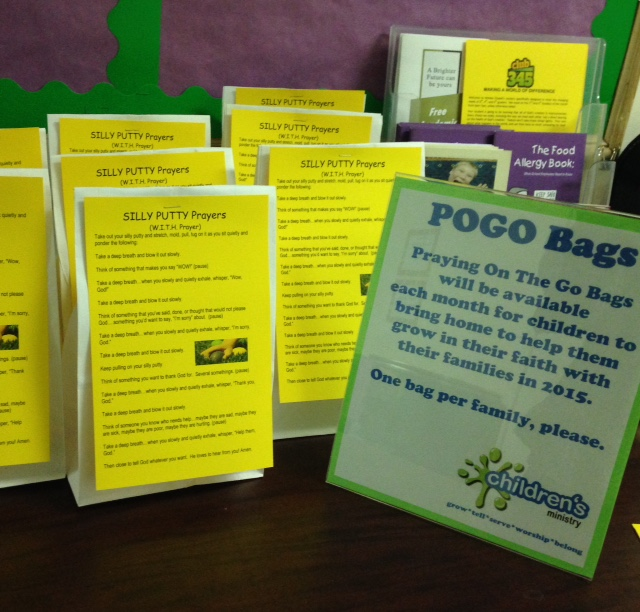 Praying On the Go Bags – Each month we send home a bag of simple directions and a tool to use to pray at home with the family. We practice the type of prayer a month or so before it goes home in CLUB345 or on Sunday morning (in large group-we all meet together to ensure critical mass, then break up into smaller discussion groups led by amazing adults) so the kids know exactly what to do when they get home to help direct Mom and Dad or big sister or big brother. Use the Bible – Kids use their bibles every single Sunday and at CLUB345. We look it up, we read it, we talk about it, we wrestle with it. Yes, it’s time consuming, but I want them to know the book. It’s the play book…not on a phone, not as a reference, but a living, breathing, teaching, loving, giving-me-the-best-words-to-hear EVER! I was 26 years old when I realized the wise men did NOT go to the stable in the Christmas story because I let someone else tell me what the bible said and didn’t read it for myself. My kids know this story and I share it to remind them that God meant for them to know the scriptures for themselves so they’d know His truth and not be easily be confused about what it says. What does Sunday School mean? What do we do there? Through story, song, and hands-on activities, learn what a fun place Sunday School is! Learn a special daily blessing for your child and enjoy a special snack. 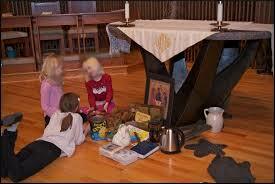 Children and parents/grandparents learn the parts of prayer and when and how to pray through word and song. A chance to explore the sanctuary ‘behind the scenes’ and learn more about worship. Learn about being a part of the worship service and the sacraments of Baptism & Holy Communion. Student Late Night to learn about the bible and how to use it in daily living. What else do you do on Sunday morning or your age specific programming times to nurture each child’s call into ministry in the area of GROWing a child’s love for our Great God? Join me next time in the blog when I share how we set the stage for students to TELL in nurturing each child’s call into ministry. A few weeks back I was invited to share at the North Georgia United Methodist Church’s Children’s Ministry Connection training event. The original speaker was going to be out of the country, so I was honored to present in her absence. Just to clarify: the task was to offer practical suggestions to nurture each child’s call into ministry…not seminary…but a lifestyle of ministry both inside and outside the local church…and to do so in a way that nourishes, feeds, and trains up a child (Ephesians 6:4, Proverbs 22:6) in partnership with Mom & Dad to love the Lord with all their heart, soul, and mind. 1. Know the Gospel – The Good News is that Jesus died for our sins so that we can be reconciled to God, but it’s even better than that! 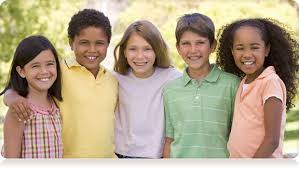 It is Good News that each kid is loved by God, forgiven by God, and raised to new life in Christ Jesus (letting them know there should be a difference in who they are today and who they will be as they choose daily to follow and worship Jesus.) AND Jesus invites them to a great adventure of living in the Kingdom of God here on earth…when bad things happen, God uses us to help make things right (missions with a message, not just charity). 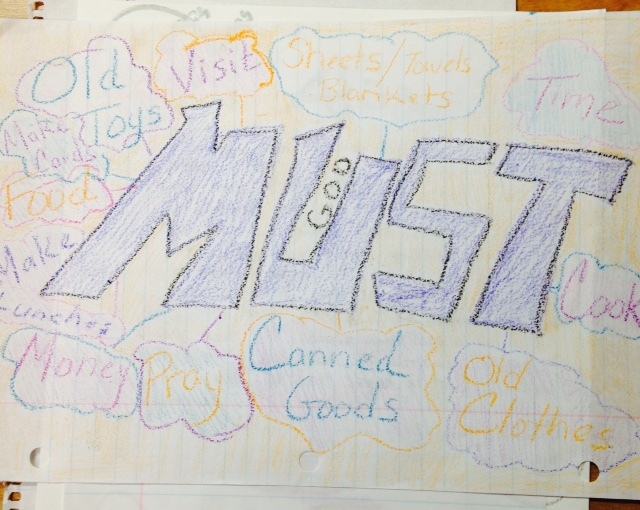 We have 5 intentions for nurturing each child’s call into ministry at Wesley Chapel: Grow, Tell, Serve, Worship, Belong. The next five blogs will lay out more practical experiences within each arena to nurture each child’s call into ministry. How do you nurture each child’s call into ministry? By setting the stage/arena for personal encounters with the living God and letting each one celebrate by talking about it!